A major breakthrough in the literary scene! For the first time ever, a graphic novel makes it to the Man Booker Prize longlist. Nick Drnaso's 'Sabrina' is about crime, violence, and 24/7 news amid the internet age. It's my first time re-shelving my books and grouping them based on classifications. Normally, I'm content just seeing them altogether in my bookcase. But the downside to being organized this way is now I know I'm missing one too many books. Hello guys! I am back - and not just to share this annoying meme of JT but I'mma share it anyway! Oh yes. Because it is May! And because it is already May... I definitely missed my goal of finishing a book this April. All for the good reasons though. So, here's to hoping I'd finish even a single one this month! Oh dayum! I am too late to the party! But it really is better late than never, right? Well, I've made some life changing decisions these past few days and it dramatically changed my views and schedule. I can say that I am happier now, though. And my life is a little bit more manageable than... ever. Call me Biena - and yes, that's my real name. Some call me Biens or Bien - that is fine, too. Where in the world are you blogging from? How did you get into blogging in the first place? I've been blogging since 2007. Back then, it was just something I'd do to let off steam and share my insights on different things, as well. 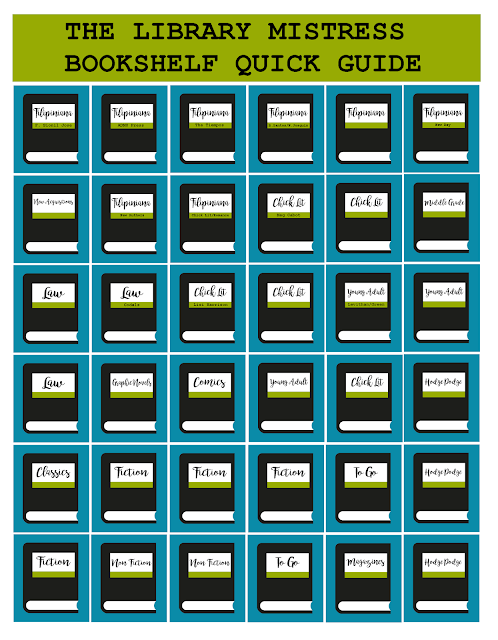 Book blogging? Well, I am new to book blogging. I've only started last year and I can say that I am inexperience. I decided to open this blog because my personal one has been flooded with nothing but bookish reports and entries and I actually thought of trying my hand in reviewing books. It has been a good experience, so far. In fact, I don't maintain my personal blog anymore. Just this one. What genre do you read and review the most on your blog? What other types of posts do you do on your blog, apart from reviews? Mostly blitz, excerpts and spotlights. But sometimes rants and thoughts and also, bookish places! Best blogging experience so far? I always get invites to different events because of my job, but I never realized that going to an event as an individual - not representing your company - is something I missed! Favorite thing about the blogging community? The bookish people! I can't explain how much I adore them! 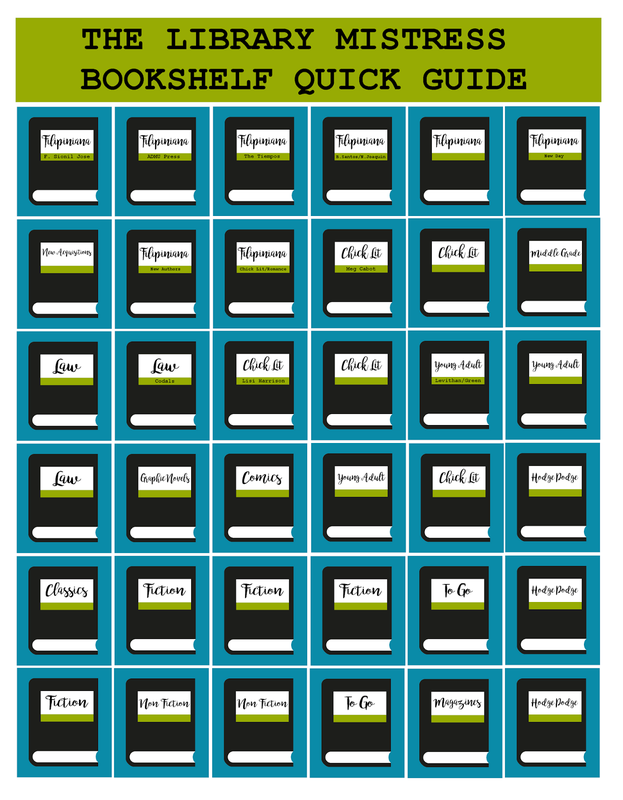 Name the 5 books you’re most excited for this 2016! To tell you the truth: None. I am not so updated recently. Heck, I haven't even finished one book! Name the 5 books you want to read this 2016 that you didn’t get to in previous years! Okay. Let me think: One FSJ book will definitely make it this year, by hook or by crook - if I'm lucky, let it be Juan Bacnang. I must finish Janus Silang 2 (Sorry, Egay!). Fan Girl by Rainbow Rowell - I need this! Shine by Candy Gourlay. Emma by Jane Austen. Which book boy or girl would be your book BFF? Jessica Mastriani of 1-800-Missing by Meg Cabot. Which book boy or girl would be your book boyfriend/girlfriend? Well, let's see... How about Jessica's boyfriend, Rob? Hahaha. Uh no, I want Chris of Airhead.Oh, scratch that! Peter Kavinsky... ANYTIME! Apart from reading, what are your other hobbies or interests? Baking. Singing. Dancing. Writing - things I do when I am much younger. Nowadays, I only do things you see on TV. Apart from book shopping, what else do you like shopping for? Paper. School supplies. PENS! More pens! At a party, the DJ suddenly changes the song – and it’s your song. What song would be playing? Years ago, it's Ke$ha's TiKTok. Hmmm, now, it would be Clean Bandit's Rather Be. Pick out either a book you want turned into a film/TV show, or a film/TV show you want turned into a book. Any Jenny Han or Meg Cabot book! But I am definitely rooting for Jessica Park's Flat Out Love. What would your dream library look like? A nice couch with carpet would be nice. Give it to me, then, my library is settled. I already have the books I like - for now. Author you want to meet and sit down to tea with? I don't drink tea so we'll have coffee. Definitely Meg Cabot. 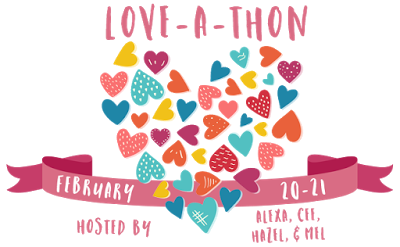 The 2016 Love-a-Thon is hosted by Alexa from Alexa Loves Books, Cee from The Novel Hermit, Hazel from Stay Bookish, and Mel from The Daily Prophecy. Marie Claire Lim Moore builds on her first memoir, Don’t Forget the Soap, offering more entertaining stories about her family in this follow up. Like her first book, Don’t Forget the Parsley is a collection of anecdotes from different points in Claire’s life: stories from her second-generation immigrant childhood in Vancouver and New York City mix with recent expat experiences in Singapore and Hong Kong where she balances multiple roles as wife and mother, corporate executive and author. Her positively Filipino parents continue to have a big influence on her whether it comes to managing family and career, meeting heads of state and world leaders or simply making new friends. 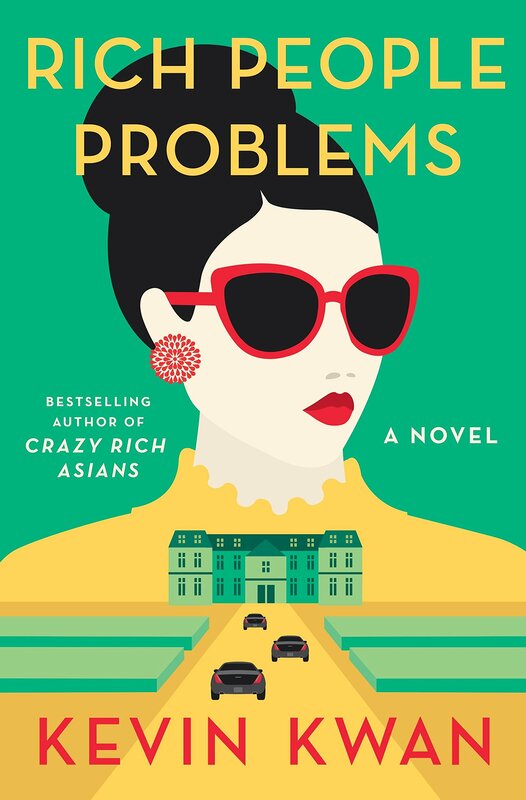 From stray observations (everything is funnier at church) and midnight anxieties (if Jessica Simpson gets to go to the White House Correspondents’ Dinner, why shouldn’t I?) to life mantras (don’t let perfection hold you back) and litmus tests (would you serve drinks at my mother’s art show? ), Claire’s warm and honest storytelling will resonate with readers and leave them smiling. While my father’s constant rule breaking and envelope pushing has given my mother more than a healthy level of stress, even she has to admit that the family has benefited from his unabashed approach on at least a few critical occasions, most notable being their immigration interview for Canada. This non-intimidation quality of my father’s has served him well. My parents would have never made it into Canada without it. Anyone who has crossed a border knows how standoffish immigration officers can be. You can have all the documents required, you can have every reason to be there, and you may even be a citizen. It can still be a nerve-wracking event. Much more so when you’re on the brink of overstaying your visa and trying to gain entry to a new country. This was the case for my parents after they had been waiting three months for their immigration interview. “I’m sorry, we’re going to have to decline,” the immigration officer said, closing the file. My mother stood up to leave. “Can I ask why we’re not being approved?” my father wasn’t going anywhere. “Unfortunately, I can’t approve your application because you don’t have enough work experience,” the immigration officer explained before standing up to end the conversation. The immigration officer realized my father would not let up on this one and he needed another reason to decline. “I believe that may very well be true but the fact of the matter is that we’re just not accepting very many applicants to Vancouver at this time,” he stood up again. The immigration officer sat down again and opened the file. “It doesn’t say anywhere here you speak French,” he commented as he closed it and attempted to stand once more. My mother followed. “Oui, oui! Je parle français!” my father confidently said one of the five French phrases he knew. My mother stood for the third time as the officer did, and my father gestured for her to sit down again. “Officer, Montreal was really our first choice but we have friends in Vancouver who have been convincing us to join them. But if there are no more spaces for Vancouver, we would like to be considered for Montreal. With my skills and my persistence, I’ll be able to get a job there,” my father was convincing. The immigration officer sighed, “Okay, let me see if I can get one of the French speaking colleagues to interview you.” He started dialing a number on his phone. My mother was horrified since she knew my father’s French capabilities or lack thereof. My father remained cool as a cucumber. “He’s not there, let me try someone else,” the immigration officer was now dialing a series of numbers. Then there was a knock at the door. “Excuse me, Officer. I need to send in the next interview,” said one of the assistants, peeking in. “Alright, alright,” he responded. “I can’t reach anyone and I really have to move this along.” He stamped the documents and the rest is history. My father always says that more often than not you have a fifty-fifty shot. His philosophy is that if one person is determining your fate, you have to give it everything you’ve got. It’s funny, but for as much as my mother talks about my father’s confidence, they both have a healthy level of self-esteem if you ask me. I mean this in the best possible way. My mother may have been a shy Catholic schoolgirl but those nuns from College of the Holy Spirit must have known how to instill self-worth. While she was quiet and non-threatening, my mother was never insecure. Criticism rolled off her back and lit a fire within. To be honest, I didn’t think too much of it at the time. I knew Boyfriend’s father was a very busy man so I didn’t take it personally. But my mother did. “He just had a lot of business going on, Mom. They’re working on this deal …” I defended Boyfriend’s father on the drive home. “If it were the Queen downstairs, he would have found a way to step out and greet her properly,” my mother replied. I think it was the immigrant experience in Commonwealth Canada that makes “the Queen” a common reference in our family. No one could argue with that. 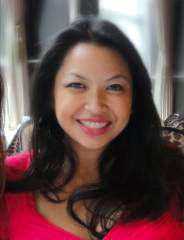 Marie Claire Lim Moore is a Filipina-Canadian-American working mother and author of Don't Forget the Soap. After spending the early part of her childhood in Vancouver, Claire moved to New York City and attended the United Nations International School. She went on to study at Yale, climb the corporate ladder at Citi and travel around the world. She met her husband, Alex, while working in Sao Paulo, Brazil and they married in Manila, Philippines shortly before moving to Singapore. Now Mom to Carlos, Isabel, and Sofia, Claire also manages the Global Client business for Citi in Asia. Claire is regularly ranked among leaders in the Asian-American professional community and her experiences have been written about in The New York Times, USA Today, Smart Parenting, Good Housekeeping and People Asia. 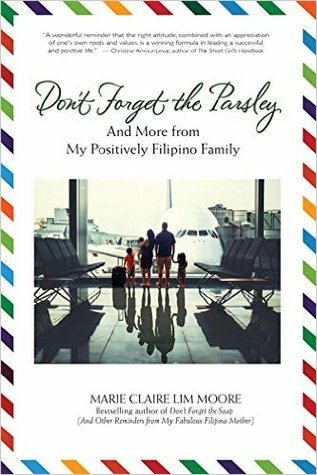 She enjoys juggling her thriving career and growing family, fundraising for Filipino community events and promoting work-family balance for women through her talks as well as her writing. Previous speaking engagements have been hosted by Standard Chartered Bank, The Financial Women's Association of Singapore, and MasterCard Asia. In 2014, Claire received the 100 Most Influential Filipina Women in the World Award™ (Global FWN100™) that recognizes Filipina women who are influencing the face of leadership in the global workplace, having reached status for outstanding work in their respective fields, and who are recognized for their leadership, achievement and contributions to society, female mentorship and legacy. Claire is also featured in women's empowerment expert Claudia Chan's Remarkable Women Series along with female role models Arianna Huffington, Tory Burch and Zainab Salbi. 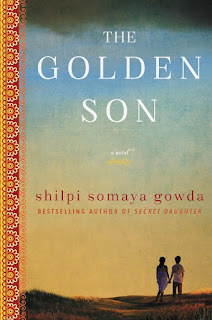 In THE GOLDEN SON Shilpi Somaya Gowda has penned an unforgettable story of family, love, tradition, and identity, in which two childhood friends—a young doctor and a newly married bride—must balance the expectations of culture and family with the desires of their own hearts. SHILPI SOMAYA GOWDA’S debut novel Secret Daughter is a New York Times bestseller, selling more than 1 million copies since its release. Already published in Canada, THE GOLDEN SON (US publication February 1, 2016; ISBN 9780062391452; $26.99) has been a runaway best-seller, hitting all the major lists for five consecutive weeks, and spending two at the #1 slot on the Globe and Mail list. 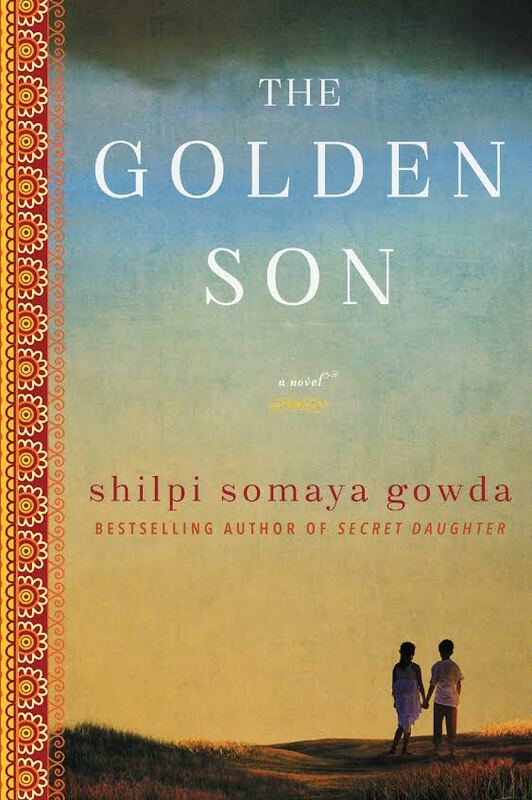 Set in India and the US, THE GOLDEN SON is a tale of friendship, coming of age, and traditional values versus modern freedoms—in a compelling and timely exploration of the struggles and triumphs of modern immigrants. Dallas, Texas, at one of the most competitive hospitals in America. Navigating a major American city and a high stakes career in a busy hospital, reality versus “the dream” of living in America brings for Anil the excitement of first love—and a crushing misstep. Anil is then hit by another blow when his father dies, and he is faced with the pressure of being the newly appointed head of the Patel household, taking on the role of arbiter for all the village disputes back home. Anil is doubtful he has the wisdom and courage demonstrated by his father and grandfather to step into the role, and is uneasy with the challenge. In India, Anil’s closest childhood friend, Leena, struggles to adapt to her demanding new husband and relatives. Arranged by her parents, the marriage shatters Leena’s romantic hopes, and eventually forces her to make a desperate choice that will hold drastic repercussions for herself and her family. Though Anil and Leena struggle to come to terms with their adult identities thousands of miles apart, their lives eventually intersect once more—in a sequence of events that illumines the fraught, unforeseen nature of life, and the sometimes disappointing and perplexing developments that hold no real answer. Tender and bittersweet, THE GOLDEN SON highlights the intense struggles of both Anil and Leena—two people caught between a traditional culture that demands the best interests of the entire family be considered above all else—and an increasingly modern world in which each individual can voice their preferences and attempt to live their dreams. Fate's been playing tricks on Cara Nicolas lately. She agrees to go on a blind date with her best friend’s fiancé’s cousin, only to discover that the guy is her first love from high school, Lucas Lobregat. Now that would have been a charming story, except that the date turns out to be one of the worst ever. And they can’t even pretend it never happened, because they’re both suddenly part of the wedding preparations. Just as she is starting to get to know more about the boy she used to love, Oliver Sta. Maria, an old flame who owes her some closure, surprisingly shows up. 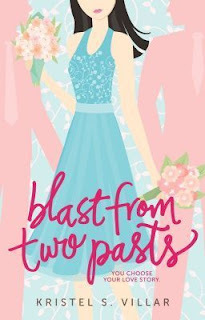 With two pasts resurfacing, which will Cara choose to rekindle? Or can she have the chance to choose at all? "Now on my signal, I want you to do as we do," the instructor bellowed, turning to her partner. "Now one, two, three, four. One, two, three, four..."
I took up ballroom dancing so I was already familiar with the steps. I glanced at Ayen and Chad, who were laughing at how awful they were doing. "You're good at this," Lucas said. I was surprised that he's finally talking. I felt my cheeks getting hotter with embarrassment. "I spent one semester in college doing this," I explained. "Good for you. I spent three summers dancing like this when I was younger." Stunned that he actually shared something about himself, I forced a smile as we glided on the dance floor, matching our steps gracefully. Lucas pulled me closer until I could feel his heart beating faster. Our eyes met as we got carried away by the rhythm. His eyes were so warm and just as captivating as the first time I saw them when we were teenagers. I instinctively gazed at his strawberry-red lips and I suddenly remembered how, back then, I wished he'd be my first kiss. "I'm so sorry for how I had acted, Cara," he said. The way he said my name lingered in my mind for a bit. "I didn't mean to hurt or disrespect you," he went on, guilt showing on his face. "I was arrogant, tactless and too angry with Chad for setting me up on a blind date at the last minute. I didn't consider your feelings." "Ayen forced me to go on that date, too, but I tried to be nice," I said as Lucas guided me through a turn before I spun back in his arms. "I realize what a jerk I was. It wasn't in my nature to act like that, to tell you honestly." I didn't respond as I looked down on my toes while we repeated the steps. "Will you forgive me?" he asked. I glanced up at him and studied his face. How could I say no to those eyes? "Now, here is your model couple!" the beaming instructor said. I quickly pulled away from Lucas, looked around and realized all the other couples had already stopped dancing. I saw Ayen smiling wickedly as she whispered to Chad, making me blush on the spot. "I love the energy that both of you have," the instructor added as she wrapped her arms around me and Lucas. "You both are oozing with so much passion! You'll take the dance floor by storm on your wedding day." Before I could protest, the instructor started clapping her hands and told us to practice for a few more minutes before she taught us a new sequence. Lucas took my hand again. We didn't say a word for a moment, until I couldn't hold my laughter any longer. "What's funny?" he asked, smiling. "That was embarrassing," I said in between fits of laughter. "I got caught up in the moment." His eyes sparkled with interest and asked, "Does that mean you've forgiven me?" I just gave him a big smile. "You're not so bad, after all," I said. He chuckled with relief as he spun me around again and took me back in his arms. He stared at me for a minute, grinning. "You're far from what I expected either." Kristel S. Villar covers sporting events for a national broadsheet by day and tries to write fiction by night. In between, she takes care of her husband and son. She is addicted to books, movies, American TV shows, and coffee.